We were approached initially to fix a non functioning out of date e-commerce website. Which we fixed while we started work on the new fully optimised website. 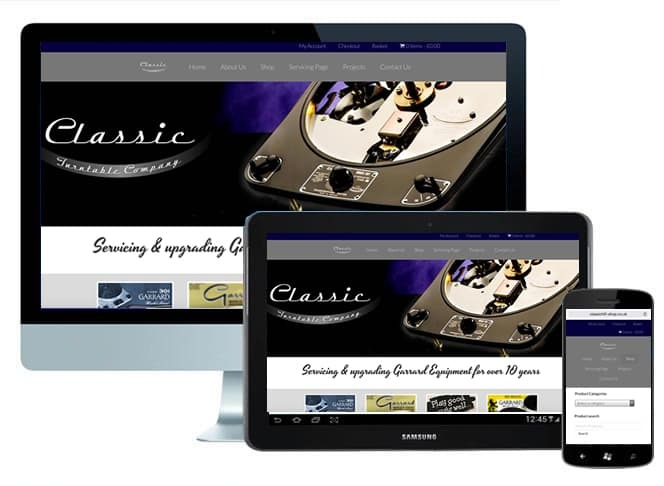 The new site is now up and running www.classichifi-shop.co.uk specialising in Garrard 301 & 401 Classic turntables, spare parts, restoration & upgrades. The new e-commerce site has a truly global appeal selling their products all over the world not just in the UK and Europe.